Discussion in 'iPhone and iPad Games' started by PeteOzzy, Feb 24, 2015. Wanted, Wizard required for defence duties. Must be proficient in spell casting to pop varying balloon types that may be utilised by intruders. Must be confident working alone and comfortable facing aggressive hordes. Advanced magic techniques desirable but can be learnt on the job. Applicant expected to provide their own spell book and potion bottles. They also may be required to make tea and answer phone calls. 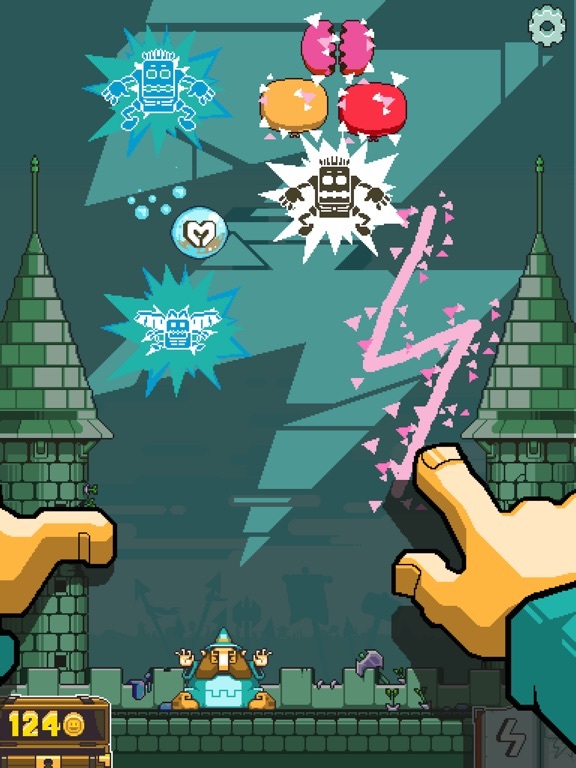 Applicants should send CVs and potions portfolio to enquiries-castleundersiege@nitrome.com Use you finger to draw shapes. 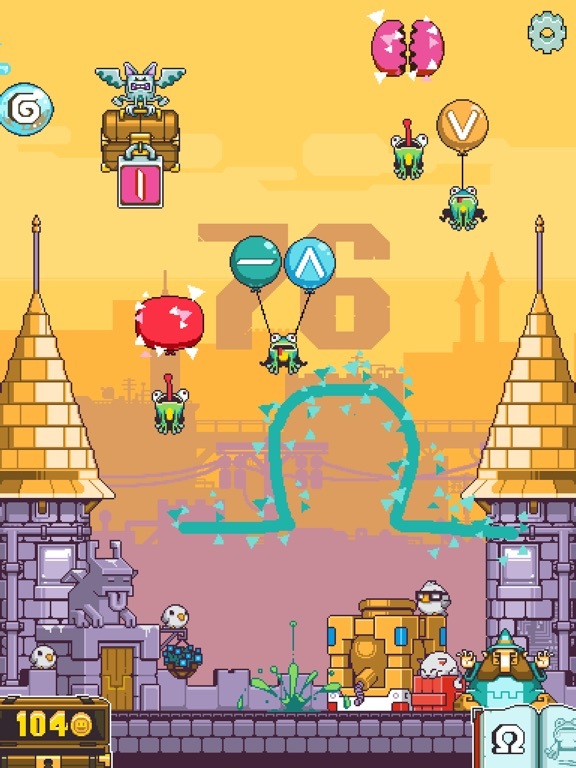 Match the shapes on balloons to pop them sending the invaders smashing to the ground. Keep the Enemy from reaching the castle for as long as possible! Features: - Intuitive gesture recognition drawing gameplay. - A simple drawing concept that anyone can grasp! - Full game centre support to compete with friends and foes. 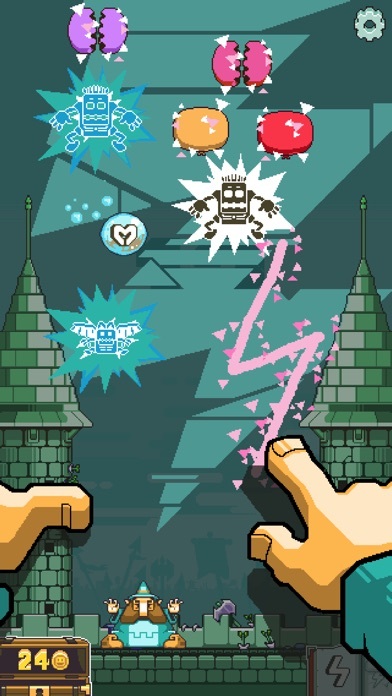 - Collect coins to unlock new awesome spells. Slow Down time! 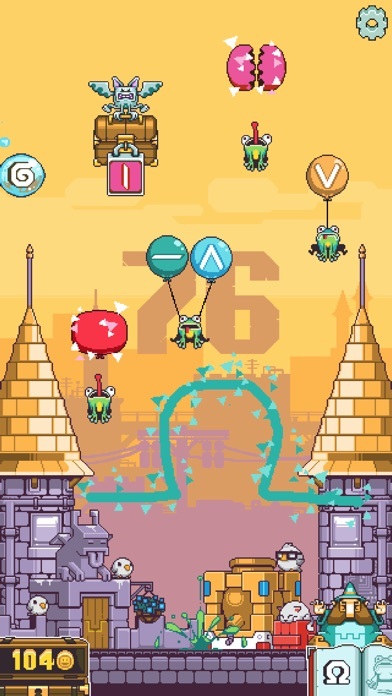 Turn enemies into frogs! Summon a mighty Dragon! Cover the floor on Fire! Make the Castle Turrets grow Gun Turrets! 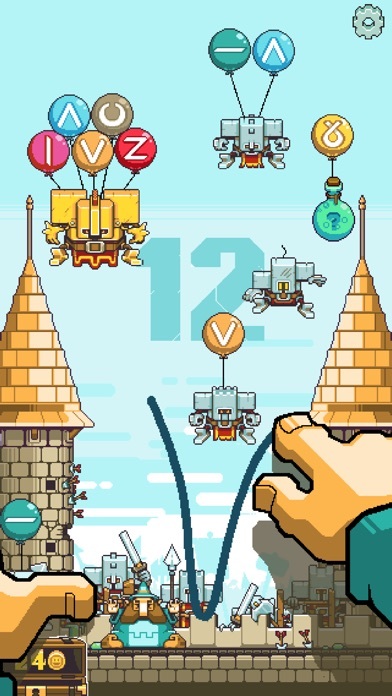 Important information This game contains third party advertising which can be removed via a one time IAP. This game contains coins which can be collected within the game for free, bought with real money or via earned via promotions. 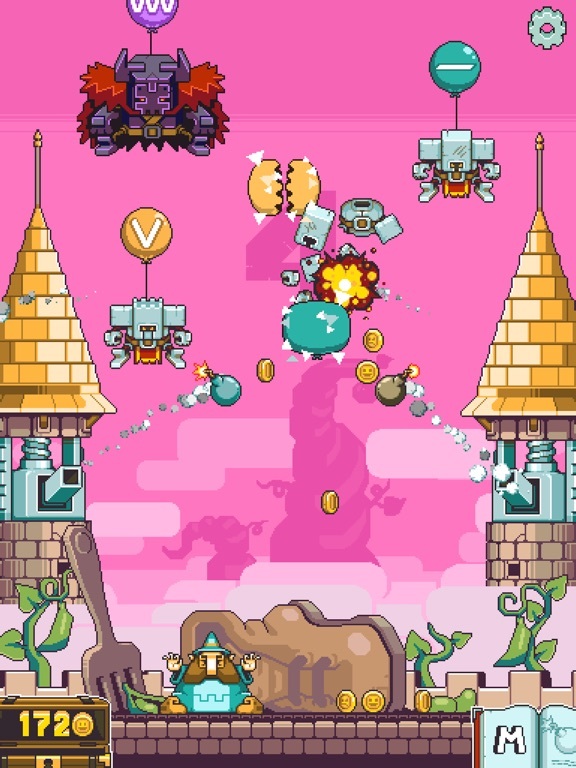 This game contains cross promotion for other Nitrome games and this is not removed with the IAP for removal of ads. Ha! Been looking forward to this! Kinda like the old Typing Tutor game, but with swipe patterns instead. I enjoyed this game thoroughly and recommend it. Another fun game from Nitrome! Gladly removed ads in support of these guys. The shape I have the most trouble with is the grey horseshoe shaped one. It doesn't always seem to register for me. Also wondering if you have any control over when your magic spells are available and if there's a way to choose which one you use. 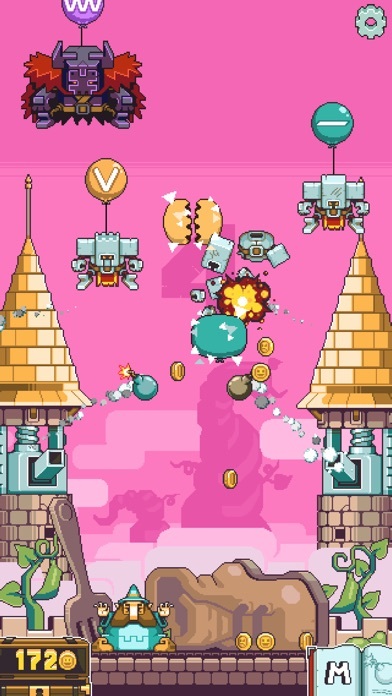 Currently in 3rd place, chasing the oh-so "wondroushippo"
This is easily my favorite Nitrome "bite-sized" game. Easily. Just perfectly suited for the touchscreen, instantly accessible, instantly impossible, great power-ups, a way to disable ads, no ways to continue by paying money, unlockable backgrounds...I dunno. I love it. After having so much fun with Gunbrick I'm confident enough to say this is one of my favorite developers and I'll buy anything they bring in the future. This game's fantastic, and despite the same game mechanics and idea as previously implemented in Darklings, its pixelart style and visuals in general makes this game a true masterpiece. It's easy to pick up and play for a short period of time as well as stick with it for hours. Upgrade system is clever and forces you to earn more and more coins for upgrades which should be enough to keep anyone interested for quite some time. And even after unlocking all the power-ups there's still lasting value in chasing high score or unlocking all the achievements. I'm not sure yet how enjoyable is the game on smaller screens because of the baloon sizes with emblems on them, I tested it on iPad Air and iPad mini 2 only, but I'll try on iPhone as well. The most important thing is the controls works flawlessly. I highly recommend to try it and support Nitrome so they can bring more of their amazing and visually stunning games in the future. It's quite fun. It's a mini game / match this by drawing. It's definitely unique in the " flappy / quick score challenge genre ". Can't beat 46 it gets real hectic. Just unlocked the second perk lightning. I wish you could choose when to use those spells and they had a cool down. They always appear on screen at the worst times. One play. One death. Unlocked. 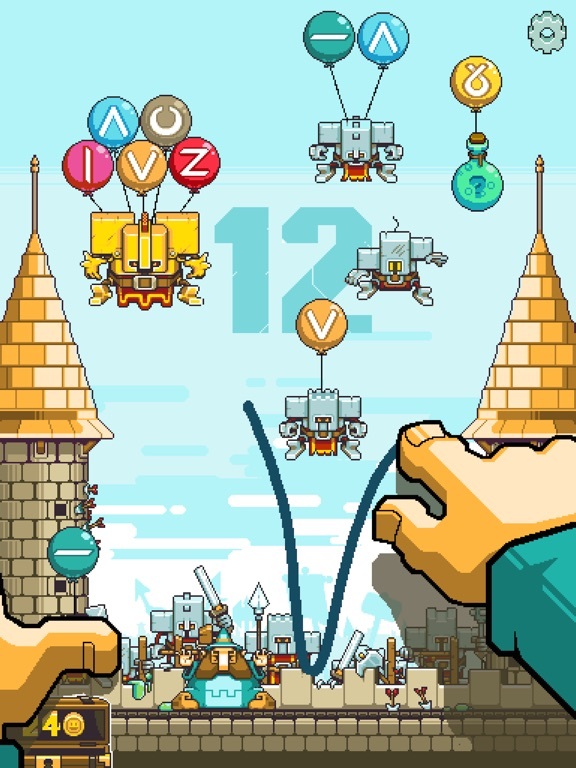 Polished as usual, super responsive, very forgiving, highly addictive, Nitrome. 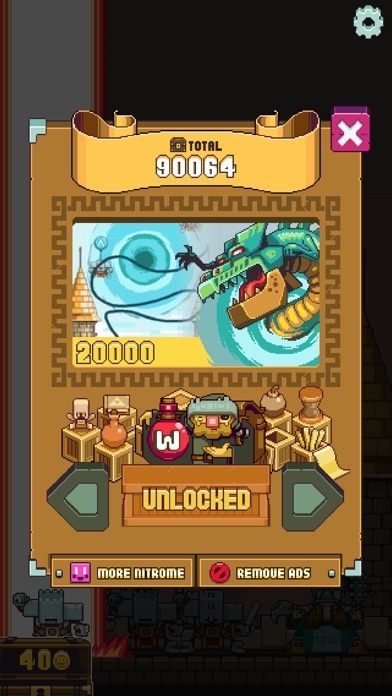 Stuck at 90, and if i don't have to unlock the former power up first, for once i'm going for the most expensive (20k). Curious what this dragon does, if it is one. Fun game but gets hard quick. IDK how you do the ones with 5 balloons. I am sure some of you can do it but it sure is tricky. This game is delightful, with superfun gameplay. I love Nitrome, they make some of the best retro-style-but-totally-modern games out there. I'm stuck at 82 which I somehow achieved with just first two power-ups unlocked but didn't have a chance to beat that with 5 more I already unlocked. I thought the more I unlock the further I'll get eventually but it looks like quite opposite Anyway, it's still a lot of fun, I'm just gonna try harder. congrats on the PG's review with 9/10 rating and Gold award, well deserved! 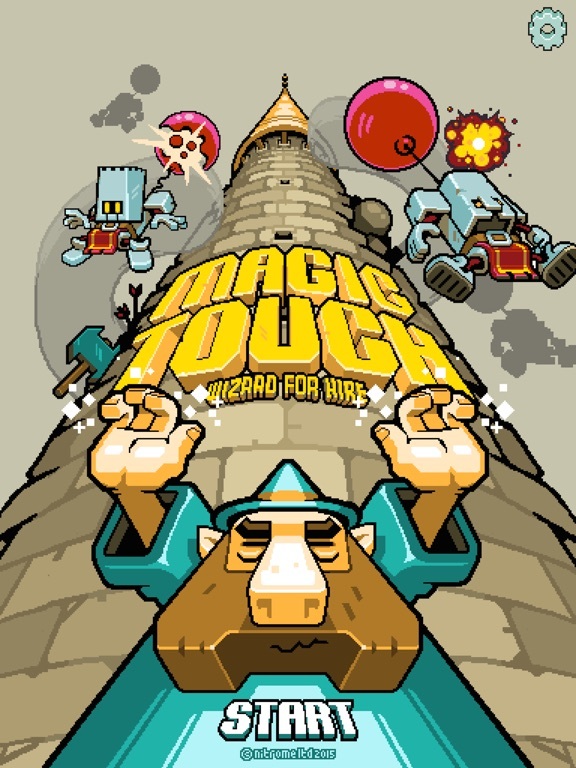 Magic Touch: Wizard for Hire was successfully nominated for Touch Arcade Forum Members' Game of the Week. If this was your favorite game this week you can vote by clicking here.